All Oregon Cider Week long (June 21-July 1), you can check-in on Instagram at a participating Portland area cider pub with the tag #ORCiderWeek to be entered to win $500 in cider & swag! Entering is easy as drinking a glass of cider & taking a picture of it. Every picture & post is an entry, so we encourage you to stop in at many Portland-area Taprooms & Oregon Cider Week events to get lots of entries! 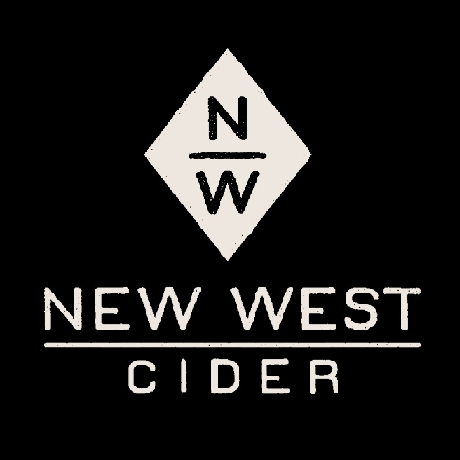 Participating cideries include: Portland Cider, Schilling Cider, Reverend Nats, New West Cider, Oregon Mead & Cider, Cider Riot, Alter Ego & Swift Cider. Any pictures you post on social media during Oregon Cider Week checked-in at a participating PDX Cidery Pub with the tag #ORCiderWeek count as entries into the $500 giveaway! So stop by, drink a pint & share with your friends. Profile must be public in order for us to see your posts & qualify as an entry. Must be 21 years of age or older to win. Winner will be announced after Oregon Cider Week. Participating cideries without a Taproom (Swift & Alter Ego), have events you can attend during Oregon Cider Week. Or drink a pint of their cider at a place around town and take a picture of t! We''ve put together a list of the top "Must Do" events in Portland during Oregon Cider Week to help you out. One city. Two cider houses. Cider. House. Love. Get your hands on one of the super limited release 32oz growlettes to celebrate Oregon Cider Week and all things Cider House Love. Kick off Cider week with a special curated "Best of PDX" flight featuring only local cideries. Get extra entries into the PDX Cideries Passport Giveaway with pictures posted at this event! Taste 30+ ciders in one night, including many PNW favorites. Tickets required ($50 each). Join a Cider Week Dance party! DJ spinning from 7-9pm and killer cider specials. Featuring 24 Oregon made fruit ciders in this iconic festival of Cider Week! Celebrate Schilling Cider House Portland’s 1 year anniversary at this adult only Cider Circus! There will be 10+ cider vendors with more than 25 different ciders. Tickets available ($25 presale/ $30 door). Get on your cruiser bikes and ride! Starts at Schilling Cider House Portland, then onwards to Portland Cider House, Cider Riot & Reverend Nat's Hard Cider. An in-depth look at the history, process, and modern interpretation of cider from two of the top cider makers in Portland! Includes cider tastings; tickets required ($30). A night at the Portland Cider House on Hawthorne dedicated to the cideries in the city of Portland. Get extra entries into the PDX Cideries Passport Giveaway with pictures posted at this event! A pop-up Swift Cider Pub at Tin Bucket for a huge Tap Takeover to celebrate Cider Week! Get your Swift Cider “stamps” here as part of the PDX Cideries Passport. This sell-out fest features 15+ Oregon cideries. Drink up as we toast the history, tradition and science that goes into crafting cider. Join Alter Ego Cider for their fourth birthday party celebration at a Pop-up Bar at Urban Crush! Get tropical with special tiki inspired randall-infused ciders from Swift Cider, Finnriver, Schilling, Portland Cider & more! Make your own creation with Apples! Cider tastings, giveaways & Cider House Love celebrations all night at both of the Cider Houses in Portland. Enjoy distinctive libations from Portland Cider Co., Swift Cider, Square Mile Cider Co., and Cider Riot with a cider cocktail flair. 100+ ciders from the Northwest and beyond. Featuring 25+ art and craft vendors, a dunk tank, llamas, live music, photo booth & more! Featuring 6 local cideries & bakeries for a special cider and donut pairing flight. Tickets required at Hawthorne. Bring in your tickets from a12ny Oregon Cider Week event and get Happy Hour pricing.